I was browsing my new favourite place to shop, Johnny Moustache, and I noticed on their FaceBook page that they have a very rare original 1980s B&B Italia Alanda coffee table, designed by Paolo Piva. An iconic coffee table which is no longer in production, this Paolo Piva desirable is extremely hard to come across. This retro coffee table was designed in 1981 (making it older than me!) 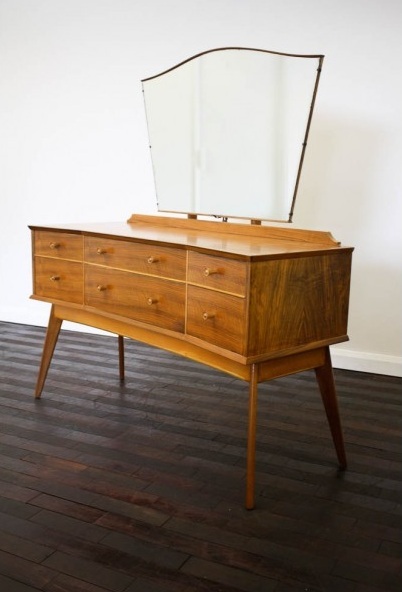 by Paolo Piva and has since become a very sought after piece of vintage furniture. Home Desirable absolutely love the Crystal Maze feel to this fantastic piece of furniture. 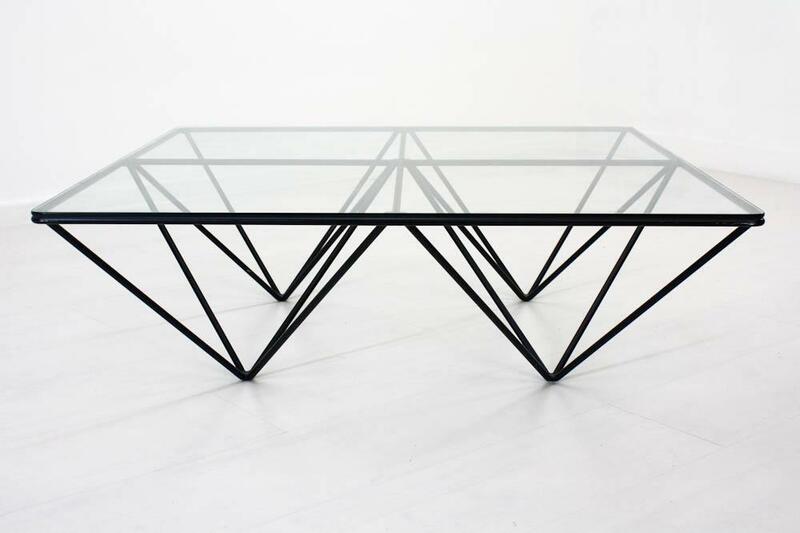 The use of black steel straight diagonal lines to the over all design of this table is truly admirable. This piece of furniture is an exceptional find which is sure to be enjoyed. 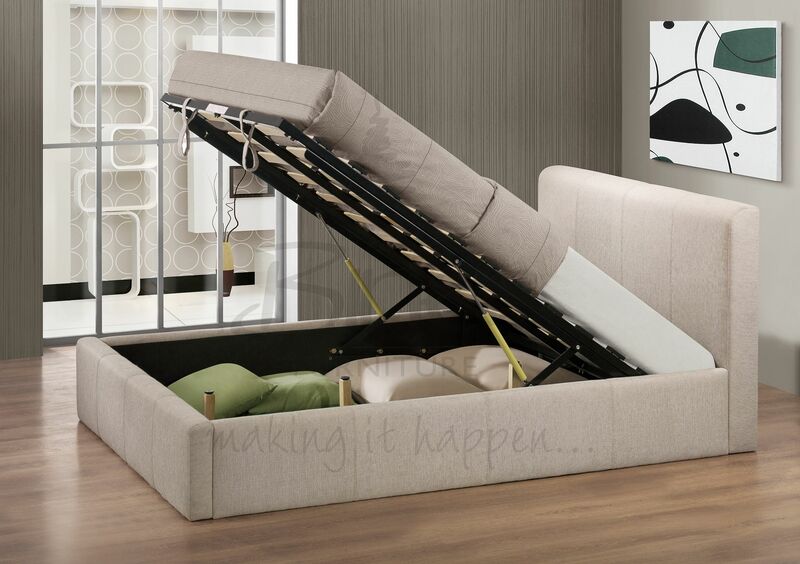 Remember guys, all Johnny Moustache furniture is 100% original. 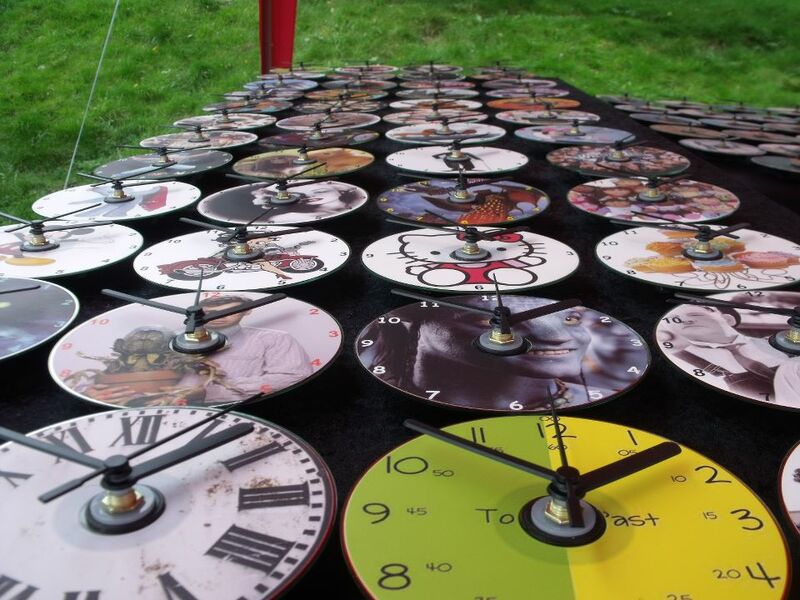 So my brother owns a watch company, and I have a thing for clocks! 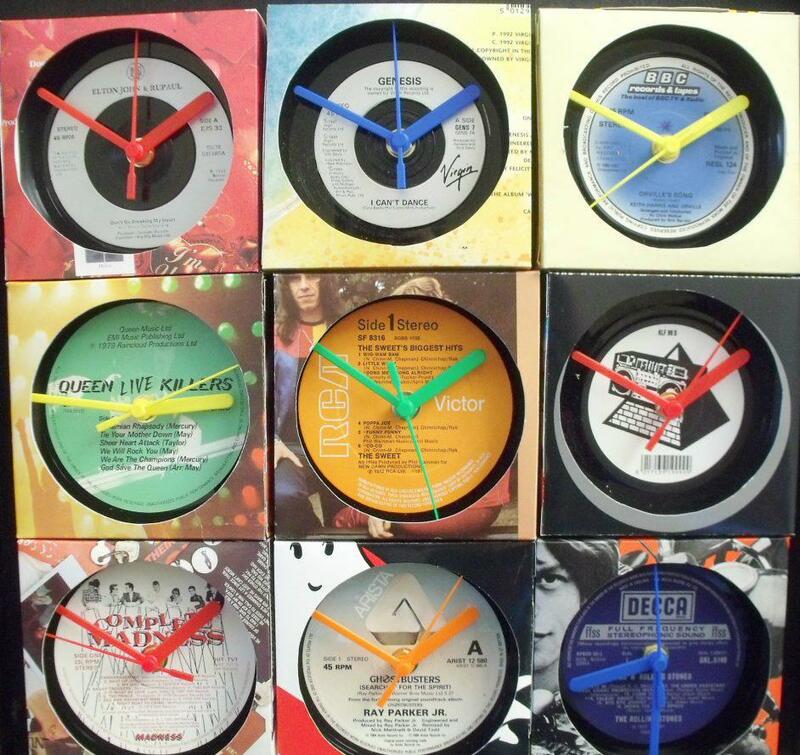 I was impressed when I seen that Ice-Watch had sent my brothers office an impressive stylish wall clock. Of course, I wasted no time in un-boxing it and setting it up. My first challenge was to find a battery, which didn’t actually prove as difficult as I initially thought. 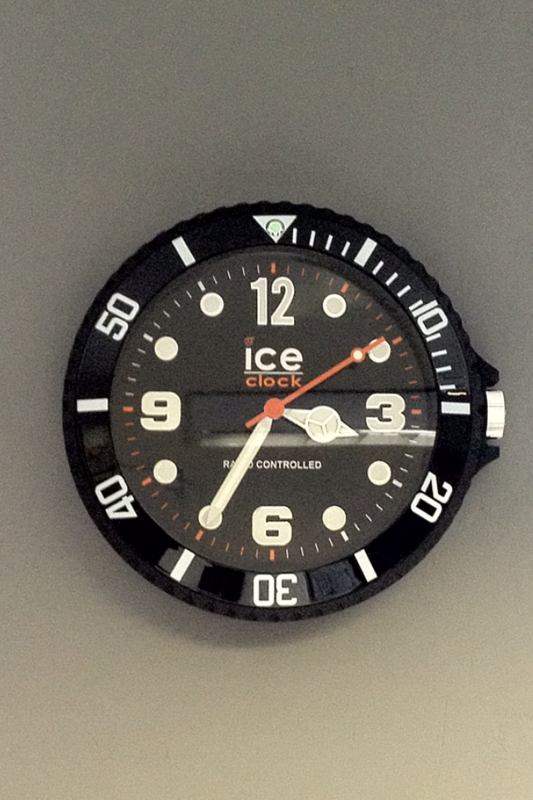 The Ice-Clock takes one AA battery (which is not included), and is very easy to set up. My excitement rose when I seen that the Ice Clock was ‘Radio Controlled’, I couldn’t wait to get stuck in setting the time! 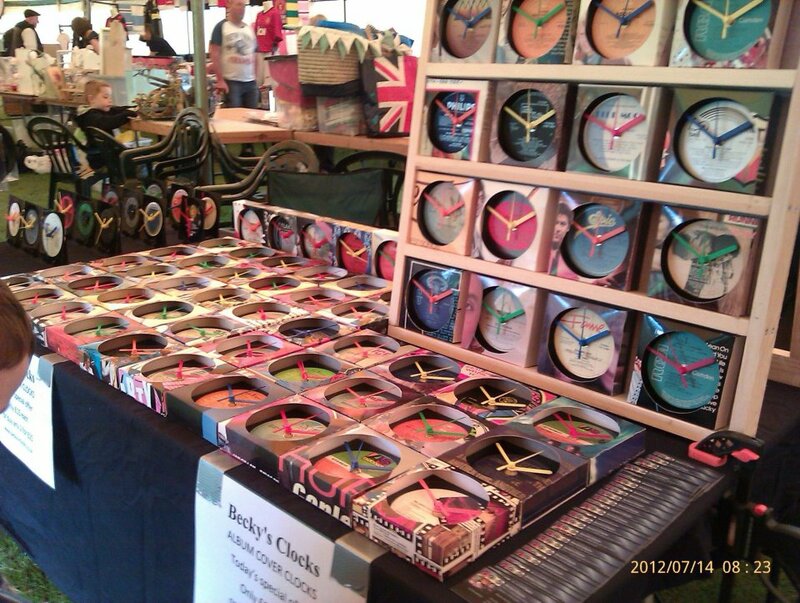 There two different versions available for the Ice-Clock, the WWVB – America version and the UK – MSF/ Germany – DCF/ Japan – JJY model. Obviously, being in the UK we had been given the UK model. I believe the American model has added features, such as daylight saving time switch and P.M.C.E time zone switch, whereas the other models are pretty much standard. 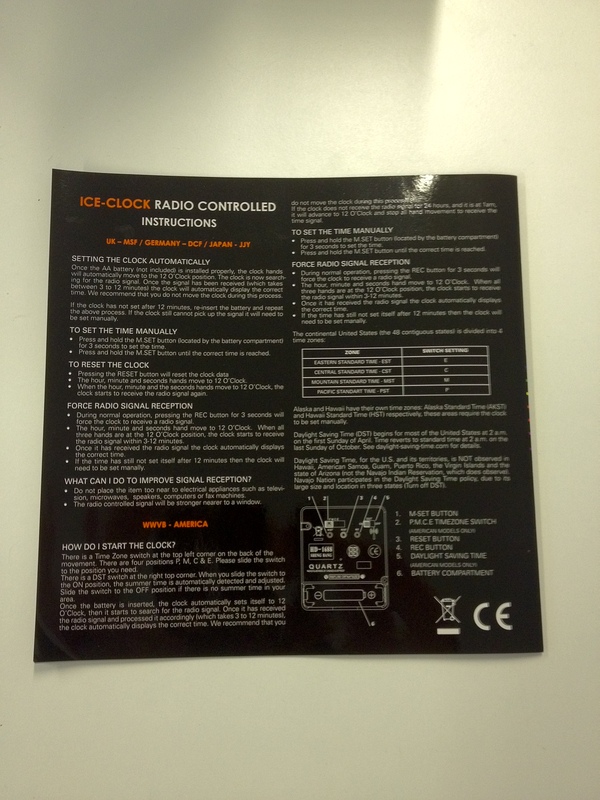 There are three buttons on the reverse of the UK Ice-Clock. These buttons are very clearly marked. M-Set is the manual set button, Rec is the radio controlled button and the red button, which says ‘reset’ above it, is the reset button. Using the Rec button enables the radio controlled feature to activate. Once pressed the second hand sweeps around the clock face at a faster than usual pace and the minute and hour hands begin to move also. 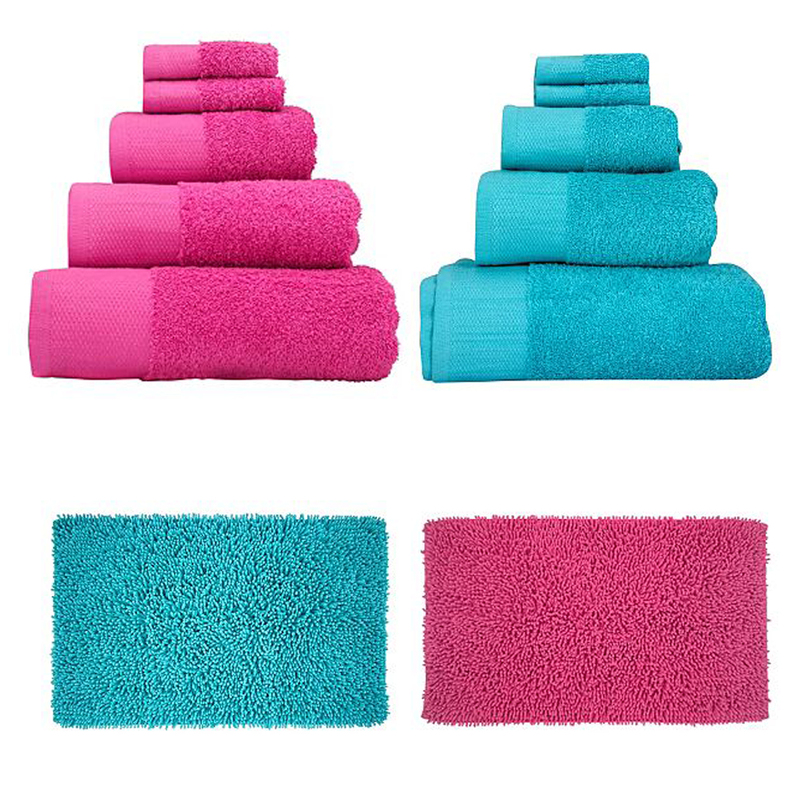 This function is designed to use radio waves to automatically set the clock to the current time – it is accurate to one second in one million years and never needs adjusting. NOTE: do not attempt to use the radio controlled functionality if you are close to electrical equipment, or appliances, as it may not work correctly due to interference. The radio controlled functionality on the ICE-Watch clock face works best when stood setting the clock next to a window. In my case, I was sat next to my computer trying to automatically set the clock via the radio controlled functionality. The clock didn’t set and just went straight back to 12 o’clock – due to the interference from my PC. I decided to manually set it, which is done by pressing and holding the M-Set button. Once the clock was set, I wasted no time clicking the back cover over the battery housing and hanging it on the office wall. It looks fantastic! It’s a real focal point on the wall. 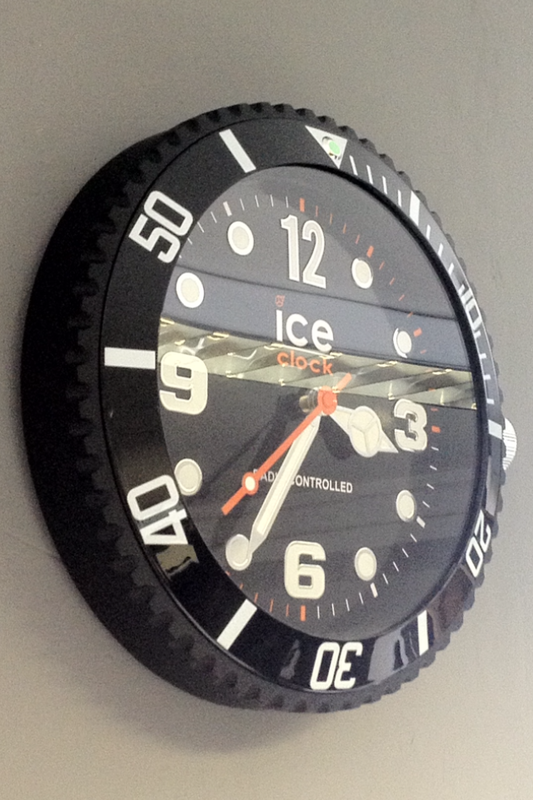 In the style of Ice Watches Black Sili Forever, this XXL Radio-Controlled Ice-Clock is a must have for any home or office! 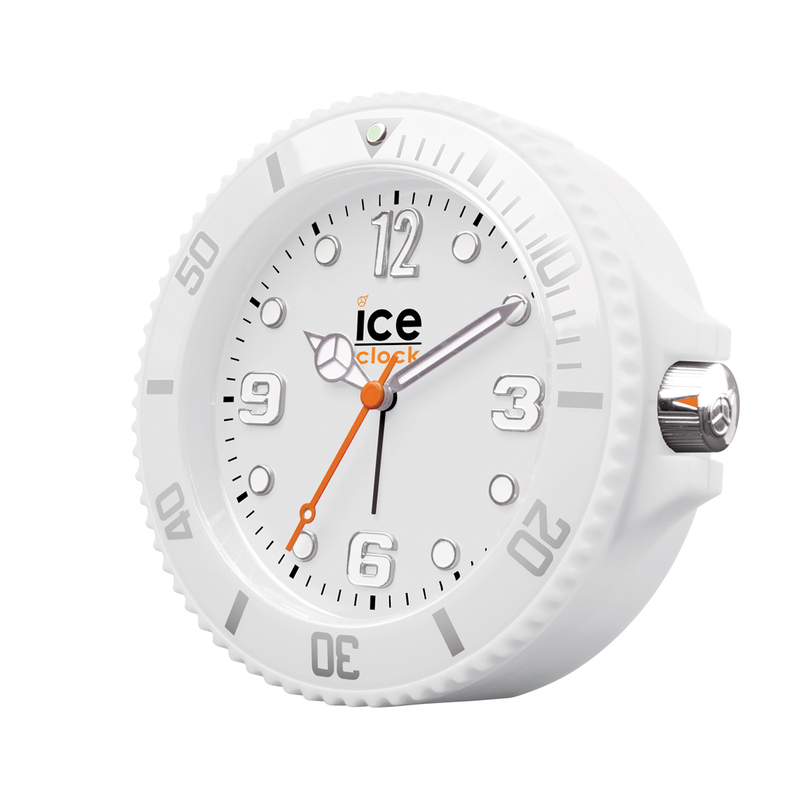 Available sometime in 2012, these Ice Watch clocks are available in various bold colours and also as an Ice-Clock alarm clock – a stylish must have for any teens, or modern, bedroom. 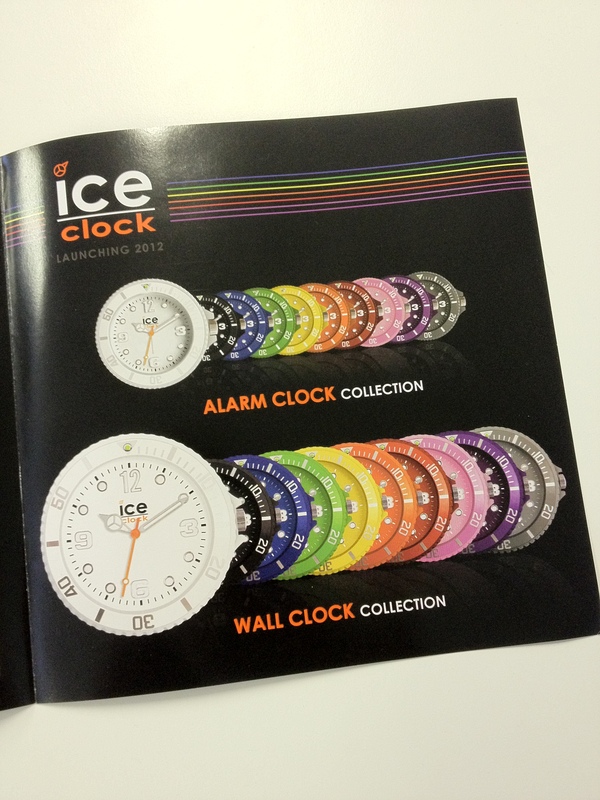 I think the other colours available within the Ice-Clock Range (pictured below) are awesome! What do you guys think?